INSIZE is a worldwide producer and supplier of high quality measuring instruments, engineering tools and metrology equipment since 1995. 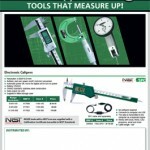 INSIZE quality tools compare favorably to other major brands. INSIZE provides superior value to the end user with strategic pricing. 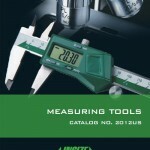 Angel’s Instrumentation is a stocking distributor for INSIZE USA – Precision Measurement Instruments. Precision Measuring Instruments; Micrometers, Calipers, Dial Indicators, Height Gage, Depth Gage, Levels & Protractors, Digital Microscopes, Endoscope and more.